What Is Weleda Granatapfel Night Cream? 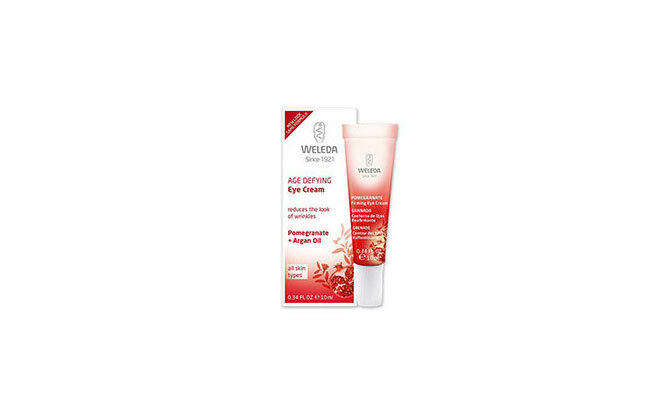 As per the manufacturer, Weleda Granatapfel Age Defying Night Cream is a skin cream that is designed to rejuvenate skin and improves skin repairing process during the overnight. It increases your skin firmness, and resilient that enhances your skin look. It helps moisturize and rejuvenates the skin. It helps your skin to retain its natural humidity. More so, it helps to improve skin elasticity and reduces the wrinkles from your skin. Weleda Company is the manufacturer of this formula. The manufacturer claims that this cream accelerates your skin repairing process at night. They also argue that its components are natural and deliver its desired results. Although this product contains alcohol and fragrance in the ingredients list which may trigger skin irritation and dryness. Weleda Granatapfel Night Cream review below highlights its ability to improve and renews your skin. More so, it provides you with its components, benefits and it working overview. Weleda Granatapfel Night Cream – Does It Really Work? Weleda Granatapfel Night Cream contains components that are rich in antioxidants that help to nourish and reduce wrinkles in your skin. They help to renew the skin cell that provides you with rejuvenated skin. More so, they promote the repairing of skin at night that gives you with health and revitalized skin. Its component helps to increase the skin moisture and improves its water retention ability. They provide you with a smooth and firm skin, which enhances your skin texture and appearance. Nevertheless, it restores your skin youthful and beautiful look as well as soothes it. What Are The Ingredients In Weleda Granatapfel Night Cream? Pomegranate Seed Oil- has antioxidant properties, which helps to promote regeneration and renewal of skin cells. Argan oil Acids – it renews and increases your skin firmness. Sesame Seed Oil– it helps to massage your dry, mature and wan skin. Geraniol – This ingredient helps in fading the look of scars and other spots on the skin quickly. Although it may cause skin irritation. You should use it when going to bed after toning and cleansing your skin. Then massage enough cream on your face and neck that can be absorbed by the skin. It promotes the renewal of skin cells. It helps to regenerate cells. It reduces the wrinkles and fine lines. Although many user reviews say it isn’t very effective. There is no mention of satisfaction guarantee. This product may cause skin irritation. This product contains alcohol and fragrance. Does Weleda Granatapfel Night Cream Have Any Side-Effects? It may have an allergic reaction if sensitive to its components. 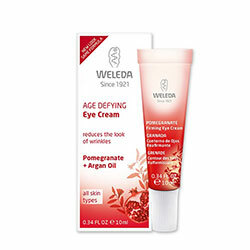 Weleda Granatapfel Age Defying Night Cream is one of the skincare products on the market today. It claims that it renews your skin and supports the skin repairing process at night. It helps to reduce the wrinkles and fine lines from appearing on your skin. Although there is no money back guarantee. It may provide you with a firmer, radiant and lifted skin, which helps to restore your natural skin beauty and youthful look. It hydrates your skin preventing it from drying and soothes it. Moreover, it rejuvenates your skin and keeps it refreshed and smooth. It also claims that its components are natural and safe. They ensure that it does not have any significant effect on your skin as well as providing you with this product claims in its review. However, it is necessary you look for extra information about it and its components before introducing it into your skin. Thus, this will enable you to ascertain its safety and ability to meet it’s your targets.